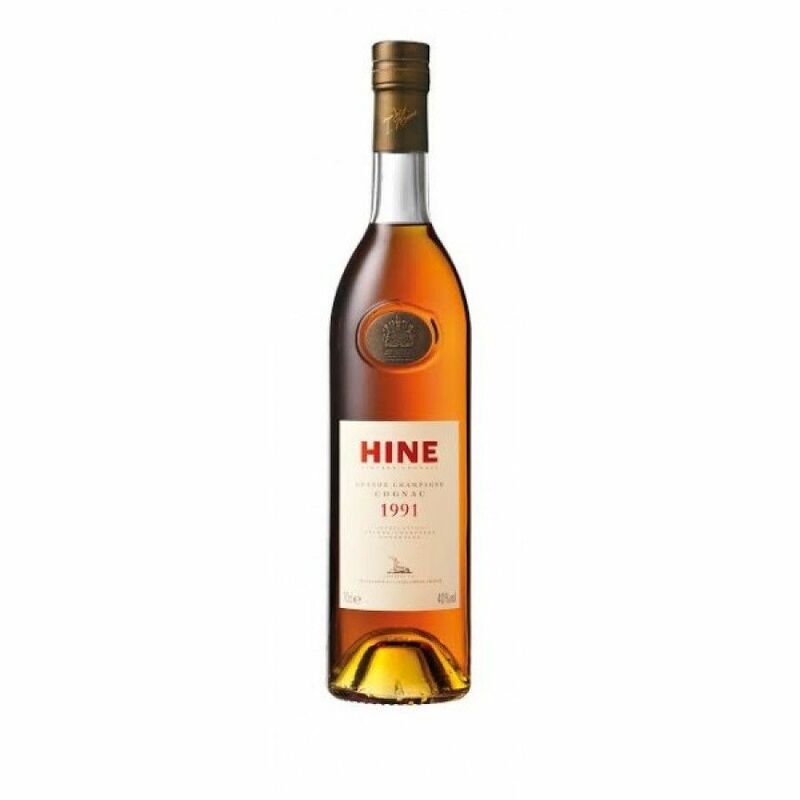 The Hine Vintage 1991 Cognac is a delight from the Grande Champagne terroir of the region. It's a vintage that borrows everything about it - color, structure, and flavor - from one of the most precious woods: mahogany. Harmonious and extremely balanced, it combines the perfection of the year's harvest with delighful aromas and tastes of iris, fresh orange peel, spices, and other fruits. Youthful in cognac terms (although this is relative - everything is slow when it comes to cognac, as the aging process simply can't be rushed), this vibrancy makes for a cognac that's a real sensory explosion - from it's color right through to the satisfying finish. Hine have let the cognac do the talking, presenting the vintage simply in a traditional style cognac bottle with a classic label.